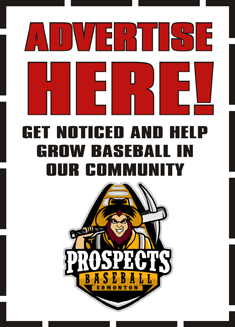 The Edmonton Prospects play all their home games at RE/MAX Field located in the heart of Edmonton alongside the North Saskatchewan River. 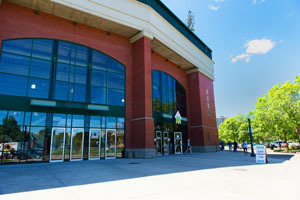 The stadium can hold up to 9,200 fans. 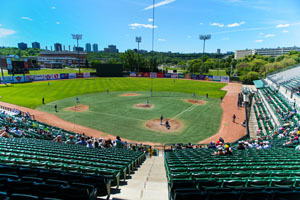 RE/MAX Field has long been known as the place to be on July 1st, Canada Day due to the perfect view of the City of Edmonton's fireworks held over the River Valley. RE/MAX Field is located at 10233 96 Ave. N.W., directly north of the Epcor plant. Lot 1 is located just north of the ball park, and can be accessed off 96th Avenue. Passes are available in this area for Field Level Suite Holders, Box Season Seat Holders and Season Seat Holders. Game day/night parking is also available in Lots 2 and 3. Lot 2 is located directly west of the ball park across Rossdale Road and Lot 3 is directly west of Lot 2 across 104 St. Cost is $10 per vehicle. Must display parking ticket on dash. Cash only.